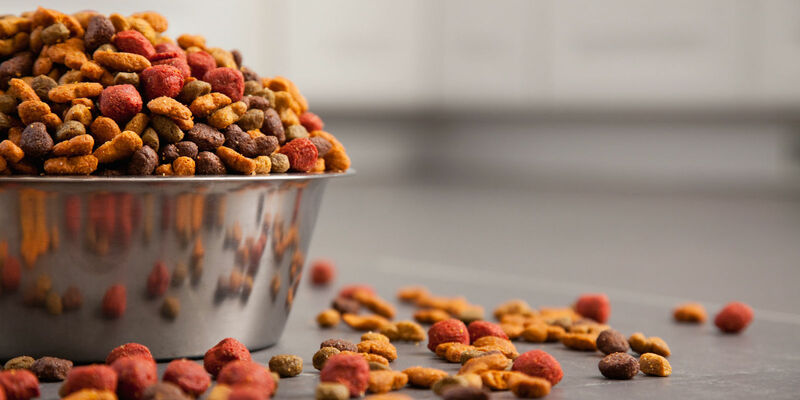 Premium Baked Kibble Fish Recipe Pacific Salmon, Ocean Whitefish and Idaho Rainbow Trout are the primary protein sources in our Fish Recipe. Fish Proteins are loaded with nutrients such as Zinc, Iron and Phosphorous and a great source of Omega 3 fatty acids. Brown Rice and Oats provide necessary Protein, Dietary Fiber, Minerals and Vitamins. Pacific Salmon meal and Ocean Whitefish meal are the clean combination of fish and/or fish cuttings with the moisture and sometimes the fat removed. 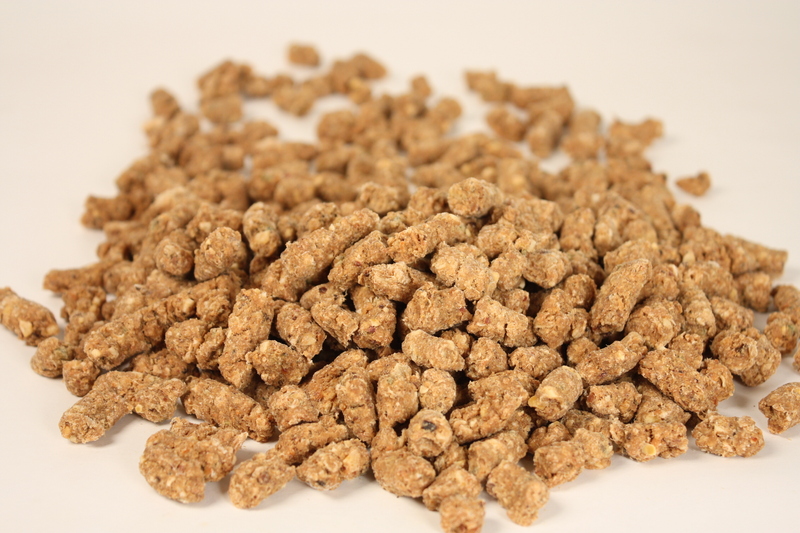 Our high-quality fish meals are an excellent source of highly digestible, Lean Protein. Alfalfa is known as an excellent source of phytonutrients and their antioxidant benefits help maintain the immune system. Alfalfa is also a good source of Vitamin A, Calcium and Iron. 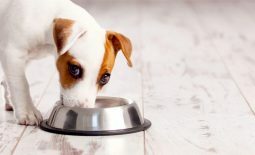 Flaxseed is a rich source of Vitamin E, Fiber, Antioxidants and Omega-3 fatty acids which support your dog’s immune system and helps promote a shiny coat and healthy skin. The egg is a natural source of Protein, vital Amino Acids, and provides a large supply of Vitamins and Minerals, including Vitamin A, B Vitamins such as B12, Choline, Iron, Calcium, Phosphorus and Potassium. The egg is also one of the few foods naturally containing Vitamin D.
Herring oil is the oil extracted from the whole herring. 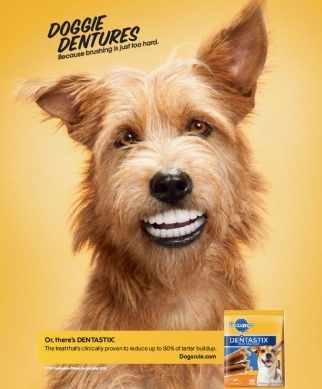 It is a great source of Omega 3 fatty acids which help maintain healthy skin and a shiny coat. Rice Bran is the layer between the husk and white rice grain including the germ. Rice Bran contains nearly 60% of rice kernel’s nutritional value. Rice Bran is a rich source of Potassium, B Vitamins, Amino Acids and essential Fatty Acids. Molasses is a natural sugar. Molasses is high in Iron and significant amounts of Vitamins and Minerals. Natural fish flavor is dried fish broth. It is used as seasoning. Obtained from Chicory Root, Inulin is a soluble, fermentable fiber. Inulin helps maintain digestive tract health and function. Sea Salt is a great source of Minerals, including Calcium, Potassium and Magnesium. Kelp is a rich source of natural Minerals and Vitamins, including Iodine, Potassium, Calcium and B Vitamins. Potassium Iodide provides additional Iodine needed for the synthesis of Thyroid Hormone which is necessary for the regulation of growth and development. Cabbage and Horseradish contain powerful enzymes with antioxidant benefits. These vegetables are rich in Vitamins and Minerals and provide the fiber necessary to help maintain a healthy digestive system. 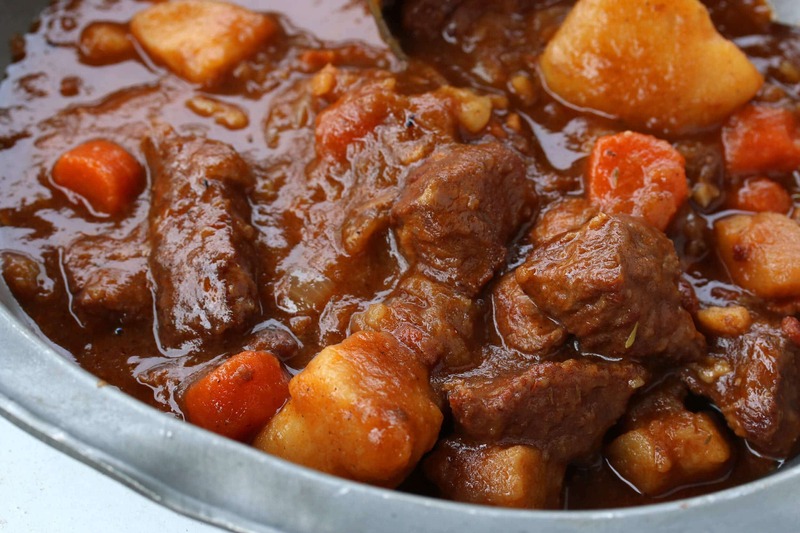 Cysteine and Methionine are essential amino acids providing Sulfur for numerous compounds in the body. The body uses Sulfur to produce healthy hair, skin and bones. Beta Carotene is a powerful antioxidant and can be stored in the liver and converted to Vitamin A as needed, thus making it a provitamin. Zinc Sulfate is an effective transitional element helping to maintain healthy skin and immune system function. A powerful antioxidant that helps the cell membrane remain healthy. Selenium is an essential trace metalloid helping the activation of enzymes critical for cellular health. Tocopherols are a mixture of Vitamin E isomers providing a potent natural preservative to inhibit rancidity. Vitamin D3 supplement helps to regulate calcium ion metabolism. A botanical ingredient that helps palatability. 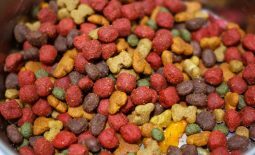 Mulligan Stew Premium Baked Kibble Fish Recipe Dog Food is formulated to meet the nutritional levels established by the AAFCO Dog Food Nutrient Profiles for all life stages. The table is a guideline only. Adjust amounts to maintain optimal body condition and weight. Please provide an adequate supply of fresh water. Puppies: Up to 2 times the amount listed above by weight, divided into several small meals throughout the day. Reduce the amount fed to puppies as they reach their mature weight. Pregnant Dogs: Up to 2 times the amount listed above by weight. Dogs Nursing Puppies: Up to 4 times the amount listed above by weight. When switching to a new food it is best to allow 7 to 10 days for the transition. To switch, slowly add more of the new food and less of the old food at each meal until only the new food is being fed. 10 Reasons why you should NOT get a BEAGLE! 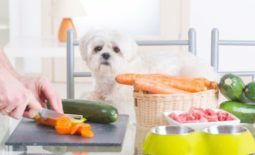 What does clean label mean in the pet food industry? 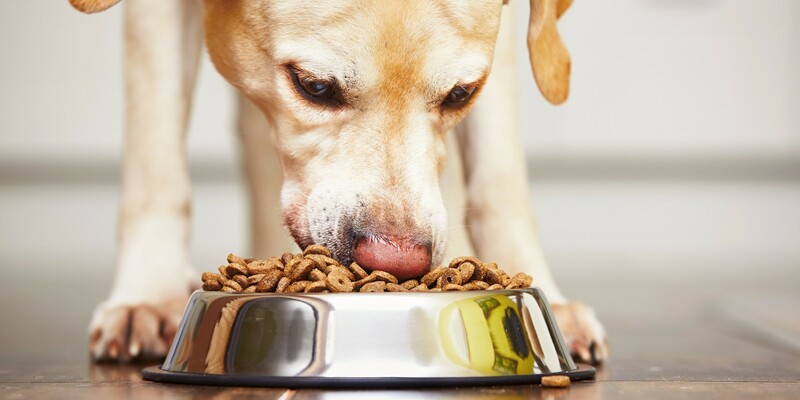 Clean label pet food: How does mercury get into dog and cat foods?